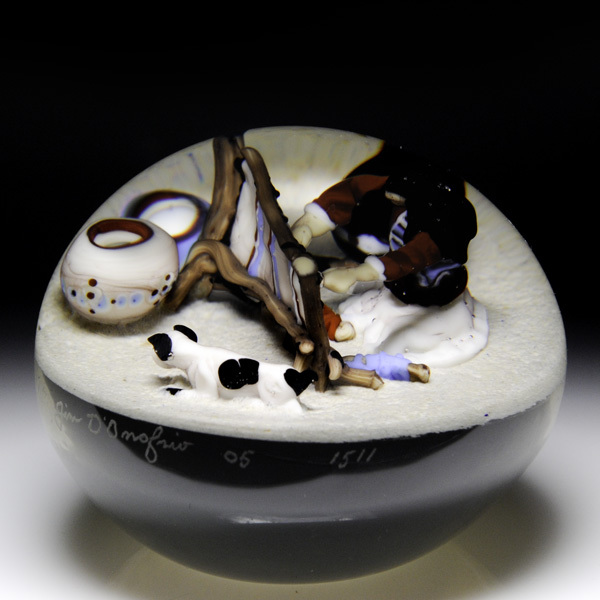 Jim D'Onofrio 2005 Native American woman and loom paperweight. The three-dimensional, Southwestern scene depicts a black-haired woman, kneeling on sandy ground, as she weaves a rug on a wooden loom. A black-spotted white dog rests near the loom, along with clay pots and spools of yarn. Signed/dated. Diameter 3 3/8".